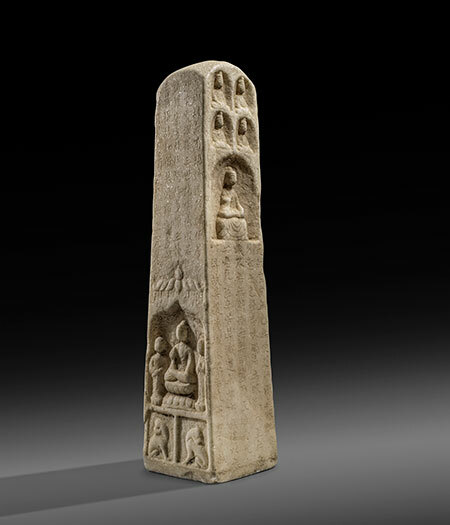 A large and rare Chinese marble Buddhist stele, of slender square shape, carved with inset images of Buddha within arch-shaped cartouches, one with two acolytes, and with two panels of seated lions. 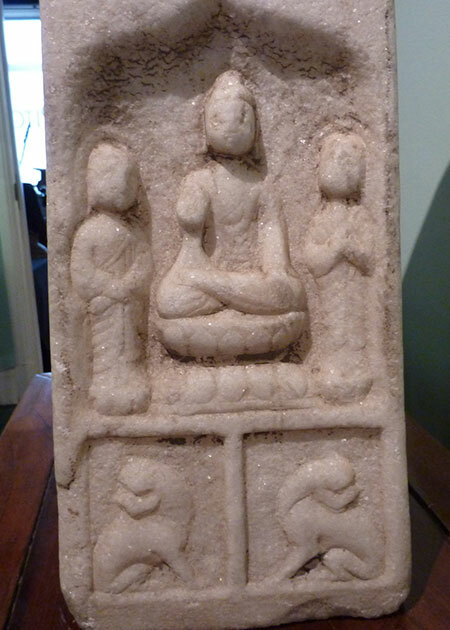 One side has an incised image of standing Buddha and all four sides are inscribed with the Heart Sutra, Xinjing, and with the date 6th Day, 4th Month, 4th Year of the Tang Changqing reign, equivalent to February 4th 824 AD. Provenance: A deceased estate in Essex, UK. More detailed images are available. 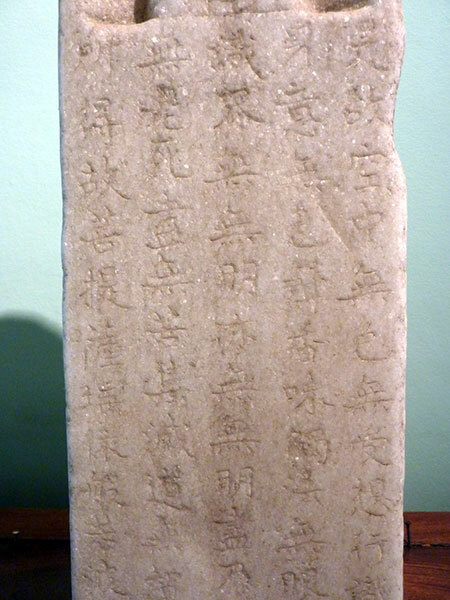 The Heart Sutra is originally a sanskrit text entitled Prajnaparamitahrdaya, and the earliest extant dated text on a stone stele is 661 AD.